What’s Behind Retail Store Closings? Most of us who follow the retail industry are aware of the wave of store closings that has taken place over the last few years. Since closings occur intermittently, however, you may not realize that roughly 5,759 stores in the US have shuttered since 2012. These include apparel companies like Jones Group and The Gap, restaurants (Wendy’s, Qdoba, Applebee’s), home furnishing stores (Kirkland, Pier One) groceries (Food Lion, Kroger, Stop ‘n Shop), toy and entertainment outfits (Build-A Bear, Game Stop) and tech companies (Cellular One, Apple). You can find an alphabetical list of all US retail store closings through September 25, 2013 here. 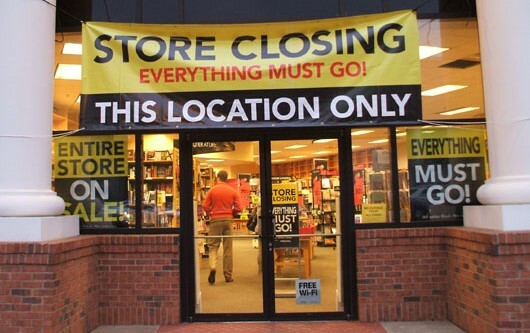 Certainly the Great Recession has something to do with this, but that doesn’t account for the fact that many of the same companies closing brick-and-mortar stores are expanding their online operations. These moves to the Internet have dramatic consequences that reach well beyond employees and consumers to affect communities and related industries, and not in good ways. The obvious example is shopping malls. Most real estate professionals acknowledge that vacancy rates are high in many malls across the country and rents are depressed. Green Street Advisors, an analysis firm that tracks commercial real estate funds, predicts that 10% of the 1,000 largest malls in the U.S. will fail within the next 10 years. Some mall CEOs think that’s a conservative figure. There’s a website called Dead Malls that tracks those shopping centers that are already abandoned or well on their way. Of the 33 JC Penney stores slated for closing, three are on the Dead Malls site: Muscatine Mall in Muscatine, Iowa, Military Circle Mall in Norfolk, Virginia, and Singing River Mall in Gautier, Mississippi. Macy’s plans to close stores in two more: Fiesta Mall in Mesa, Arizona, and Medley Center in Irondequoit, New York. Abercrombie & Fitch is closing a store in yet another mall on the endangered list, Oaks Mall in Gainesville, Florida. It appears that these particular malls, along with most of the others listed, while not going gentle into that good night, they are slouching toward oblivion, dragging community spirits down with them. Part of their woes are caused by the oversupply of mall real estate. The US has so many malls that when one closes shoppers can easily drive 10 or 20 miles to another. Add to this the ‘smart growth’ and walkable cities emphases in current urban planning theory and you easily see that the curtain is descending on the malls’ last act. So what happens to these dinosaurs littering the suburban landscape, becoming eyesores in the communities they once served? Sometimes mall owners just call in the demolition equipment. Occasionally, though, more creative solutions are devised. Although not located in a mall, an abandoned Wal-Mart in McAllen, Texas was turned into the largest, single-story library in the country by Minneapolis-based architects Meyer, Scherer & Rockcastle, Ltd. The conversion plan included space to establish a community gathering place, which serves as an updated version of the town square. While this is a positive development, it assumes that there are companies interested in opening brick-and-mortar stores, a debatable idea. “If I were thinking of starting a new retail brand right now, I would unquestionably start it online,” writes Jeff Jordan, a partner at Andreessen Horowitz and board member for several online retailers. 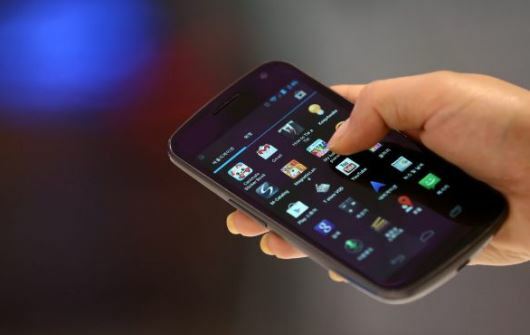 He points out that online retail will continue to steal business from brick-and-mortar stores and that will place even greater pressure on shopping malls. Even online retailers that do move offline to open physical stores are doing them as Internet showrooms, where customers view samples and then place orders. This is a stark departure from the traditional retailer that stocks inventory in its stores. Jordan cites two, Bonobos and Warby Parker, that began online and are now employing this showroom model. There’s a joke going around that says Best Buy, which recently closed 10 stores, has become a showroom for amazon.com. Consumers visit Best Buy, check out the product they’re considering, then go home and order* their preferred model online. I’ll admit that I’m guilty of doing this exact thing when shopping for a high-definition television, not because Amazon had a cheaper price, but because the delivery is so much less hassle than dragging a TV home myself. It’s small conveniences like this — and probably others that are less apparent — that are driving consumers online. *Or order then and there from their Smart phone. For the first time ever, the world’s largest Internet retailer will now be delivering orders on Sunday. In an unprecedented partnership with the US Postal Service, Amazon.com has started offering its online customers Sunday deliveries in select US markets. The new Sunday delivery service has already arrived in New York and Los Angeles, and Amazon plans to expand it to a large portion of the US population in 2014, including Dallas, Houston, New Orleans and Phoenix. Members of Amazon’s popular Prime Service will pay nothing extra for this new delivery option. They can now buy products on Friday and get Sunday delivery for free. Non-Prime members can also take advantage of free Sunday delivery on orders of at least $35. Saving the US Postal Service? Could private companies like Amazon help the US Postal Service become profitable again? It’s entirely possible. The postal service already expects to deliver 420 million packages this holiday season. This represents a 12% increase over last year, and the new partnership with Amazon could significantly increase these numbers. Amazon is committed to service. It has been spending billions of dollars building new warehouses around the world so it can deliver products more quickly. By offering seven-day-a-week deliveries, they can keep these sophisticated warehouses working for customers on a 24/7 basis, becoming even more productive in the process. 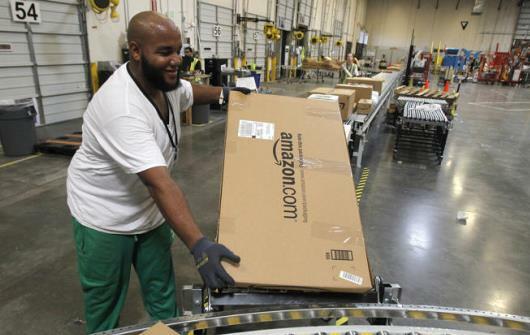 Sunday deliveries will benefit Amazon, the US Postal Service and customers everywhere. It is a win-win for everybody and you can only wonder why nobody thought of this before.